Whether you had the original FMS 1400mm T-28 or ready for a remarkable scale T-28 experience, the new V4 is sure to please. Beneath the beautiful paint scheme, FMS upgraded the foam from EPO-40 to a new grade of material. EPO-52 alleviates excess weight, without weakening the airplane. In addition, the original oil paint which had unavoidable corrosion issues has been replaced with an environmentally-friendly water-based paint system. 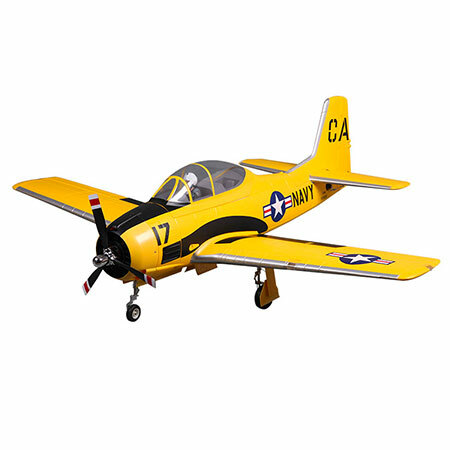 When you add it all up, the FMS T-28D Trojan V4, 1400mm Yellow PNP is a totally different model.